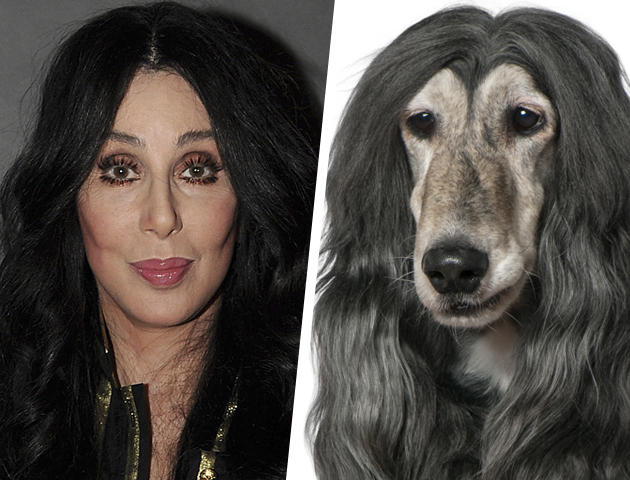 This Afghan hound and singer Cher bear more than a passing resemblance to each other. The hair, the cheekbones, the slim face. We wonder if this canine can sing too? 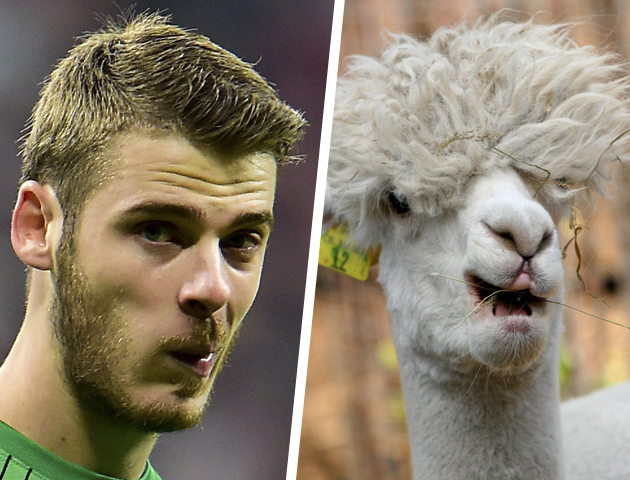 It’s amazing just how much Man Utd’s Spanish goalie David de Gea looks like this llama! Do you think they have the same hairdresser? 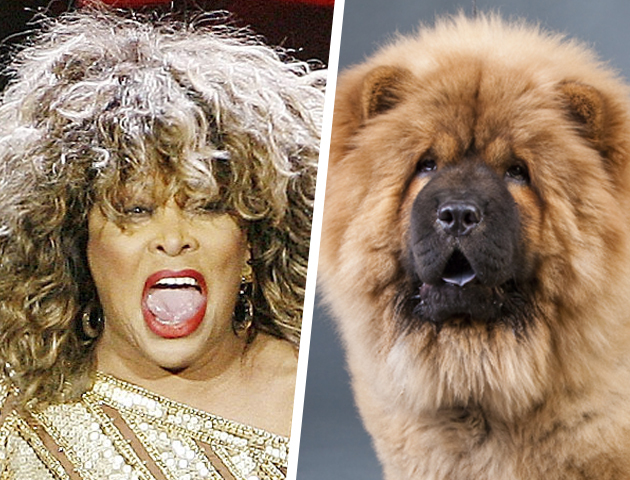 Tina Turner and this Chow Chow dog – separated at birth? Do you think he can sing, dance and wear a bodycon dress like her too? 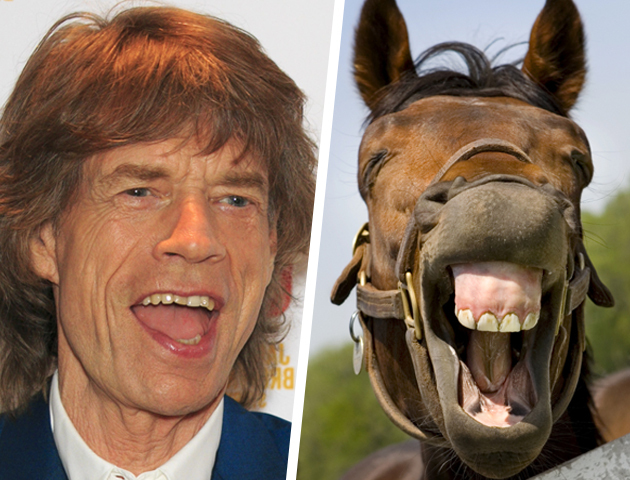 Now, we love the great Mick Jagger as much as the next person, but we think he really looks like this braying horse. This old nag really does have star quality! And so does Mick! 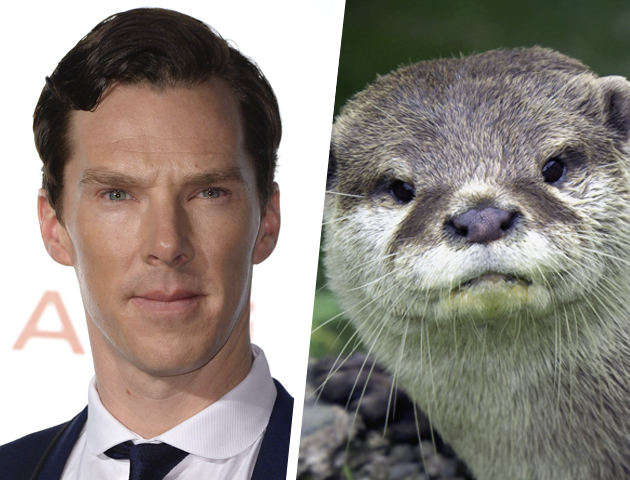 It’s true that we all love Benedict Cumberbatch, but we agree that he does have something of the otter about him! This has to be one of our all-time favourite celebrity animal lookalikes. 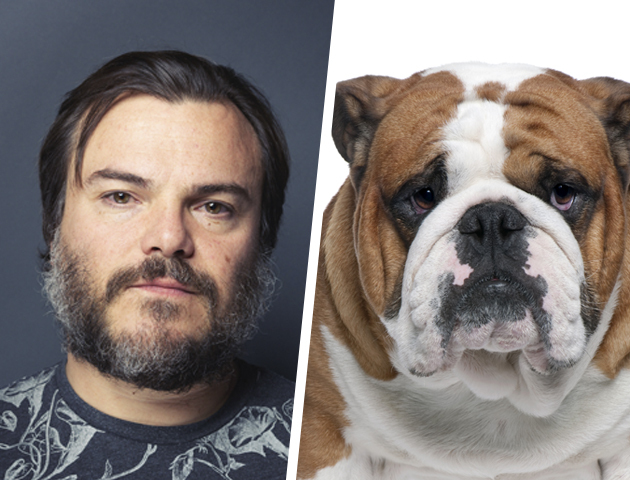 There’s no denying that this bulldog bears more than a passing resemblance to funny man Jack Black. Don’t worry Jack, you’re definitely a better actor! 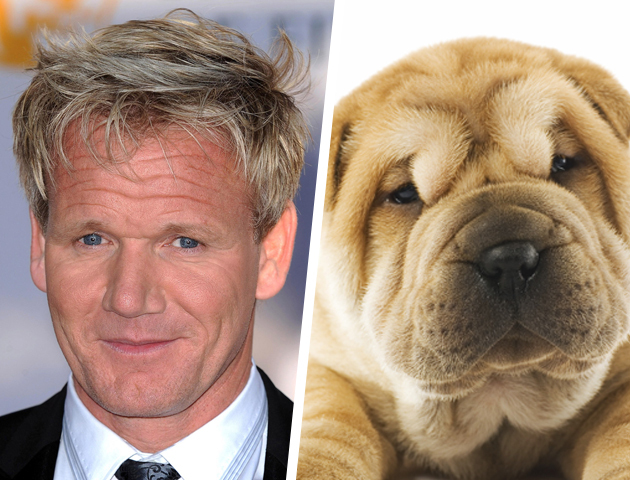 Is seeing this cute shar pei dog like looking in the mirror for Gordon Ramsay? We reckon this mutt is f-ing similar to the sweary TV chef. 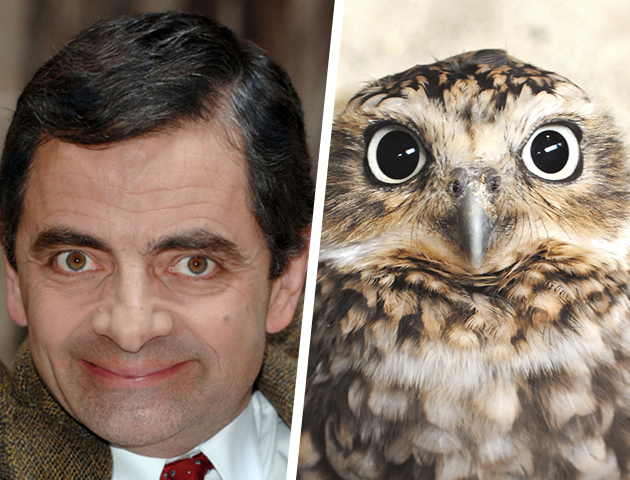 We think Mr Bean (aka Rowan Atkinson) and this owl were separated at birth! Look at those eyes!